#CAFA2016 | Mark Your Calendars! This year the nomination process focuses increasingly on self and peer nomination. Designers from across the country can apply for one of two Emerging Talent Awards – including Fashion Design and Accessory Design, both of which will be awarded to budding Canadian talent. CAFA is also excited to announce the addition of four new peer and self-nominating awards for the 2016 season including Fashion Impact, Fashion Innovation, Fresh Face of the Year and Fashion Design Student Award. Designers, brands and companies who are shaking up the industry both through innovation and philanthropic contributions are able to nominate themselves for the Fashion Impact and Fashion Innovation awards. The Fresh Face of the Year Award application will call for modeling agencies to send in their best fresh faces to the executive committee. Similarly, the process for the Fashion Design Student Award will call on schools to apply on behalf of the students they would like to nominate. Headed by Vicky Milner and Brittney Kuczynski, the CAFA gala has stood out as one of the most dazzling events of the season. Last year’s notable attendees included Vanguard award winner and host Joe Zee, presenters Fashion Police’s Brad Goreski, actress Elisha Cuthbert, models Coco Rocha and Chantelle Winnie with a special video appearance from Olivia Palermo. “We want to recognize and reward the hard work of our peers. 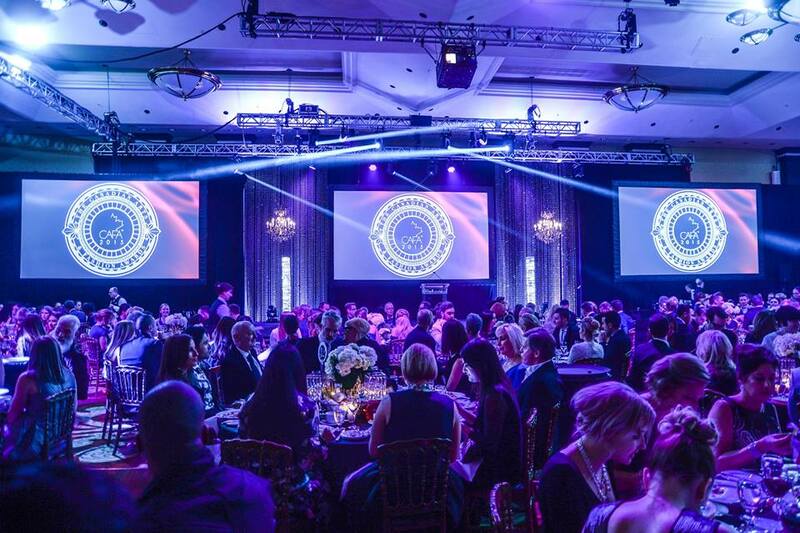 With the addition of four new self-nominating categories, we want CAFA to include a diverse a group of Canadian designers and professionals. Making the nominations more accessible will help raise awareness for our remarkable home-grown talent and generate broader international recognition for Canadian fashion industry leaders. “Canada has a thriving and innovative fashion scene,” says Brittney Kuczynski, founding director, CAFA. “With consumer’s relentless desire for great and new product in the vastly evolving global retail landscape; our goal is to help foster the next generation of Canadian, international designers. We look forward to showcasing how culturally important the fashion industry is to Canada at our upcoming event”. To be presented to an outstanding Canadian womenswear designer who has made a significant creative impact in the Canadian fashion industry. To be presented to an outstanding Canadian menswear designer who has made a significant creative impact in the Canadian fashion industry. To be presented to an innovative Canadian designer who is emerging as a true creative force in Canadian fashion. To be presented to an innovative Canadian designer who is emerging as a true creative force in Canadian fashion accessory design. To be presented to an outstanding Canadian fashion accessory designer who has made a significant creative impact in the Canadian fashion industry. To be presented to an outstanding Canadian fashion photographer or filmmaker who has made a significant impact within the Canadian fashion industry. To be presented to a Canadian designer who has achieved International success and brought attention to Canadian talent on the world stage. To be presented to an outstanding Canadian fashion stylist who has made a significant impact within the Canadian fashion industry. demonstrates creativity, excellence, and range in online fashion critique, reporting, and photography. To be presented to an outstanding Canadian model who has made a significant impact within the Canadian fashion industry. To be presented to an emerging Canadian model who the industry recognizes as one of Canada’s newest and brightest Fresh Face. To be presented to a company that is innovating how we experience, consume or interact with fashion through technology. To be presented to a Canadian designer or brand that has made a significant social or philanthropic impact in the Canadian and/or international community. To be presented to an exceptional recent fashion design student graduate from a Canadian fashion design program. Awarded by CAFA to a deserving Canadian designer or brand who has contributed significantly to the Canadian fashion industry. who has had a profound effect on the fashion industry. Nominees will be announced at a special ceremony in January and the CAFA jury will select winners through confidential vote starting in February 2016.